At the Platinum Pebble Boutique Inn we want our guests to have the experience of their lives! We put together Vacation Ideas for guests to choose from based on “living like a local”. 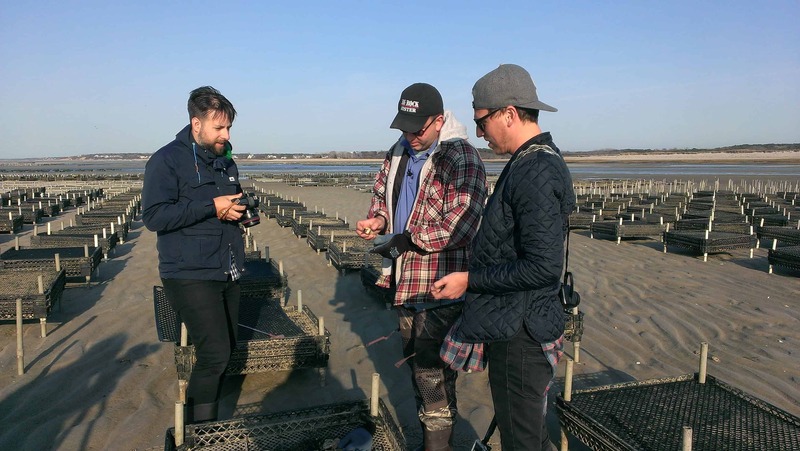 This week we will highlight one of the most interesting tours we have been on lately….the Oyster farming tour! Who knew? The Oyster Farm! A stunning vista. Drive out on the tidal flats to visit the Oyster farm! 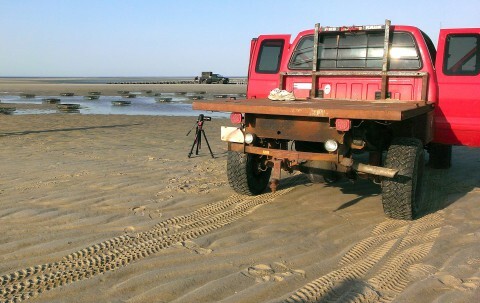 We drove out onto the flats with the owner of the Oyster farm, Aaron. 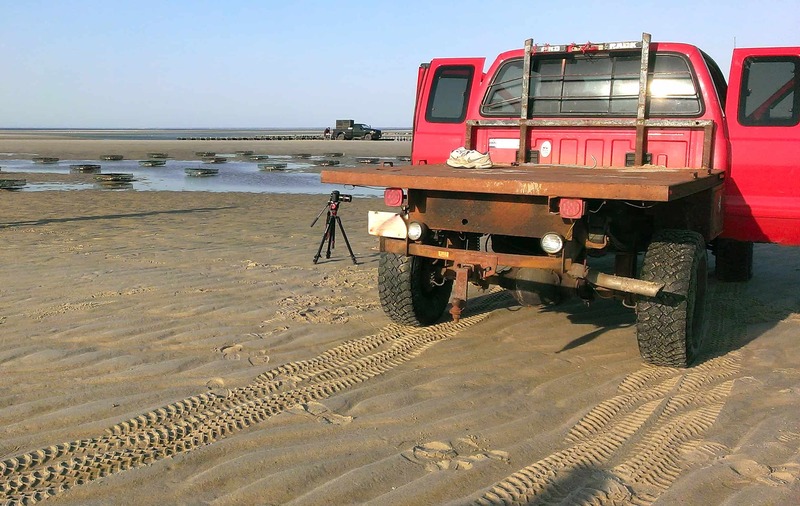 He has been doing this for years and knows the ins and outs of driving through sand with a near talcum powder consistency. We nearly get stuck but Aaron powered through it and realized after the fact that we had not decreased our tire pressure enough to pass through without challenge. It is exhilarating to be out where it feels like you don’t belong. Hours earlier there was 5 feet of water right here, a few more hours and its coming back! Learning about Oysters and how they grow. Amazing little guys. 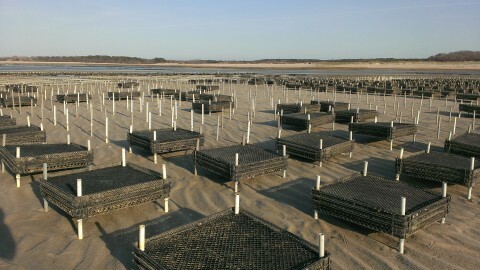 We were able to walk amongst the hundreds of oyster baskets holding thousands of oysters in various stages of their growth cycles. The best part of the tour was soon to come though. The freshest, most delicious oyster I have ever eaten. There is nothing like eating an oyster straight out of the ocean. Aaron shucked a bunch for everyone and all agreed, the best! As we walked along the flats we got a glimpse of the damage the previous winter’s Nor’Easters had done to some of the farms. It is a tough business. It’s not easy to pull all your traps for the season, the timing is hard and the physical labor is no joke. If you leave them too long, you might lose them all. 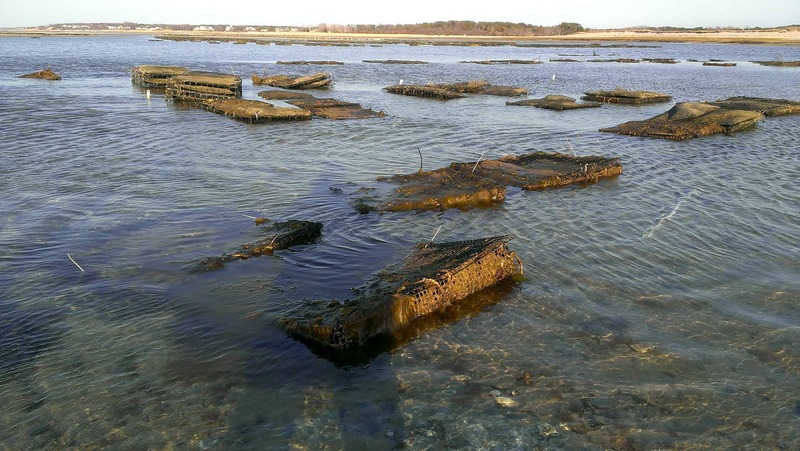 This past year we had one of the worst winters ever for the region and the Bay froze…later that ice became icebergs that dragged and scraped over the oyster farms as the tide came in and out. There were a few farms that had massive amounts of damage. The Nor’Easters did some damage! 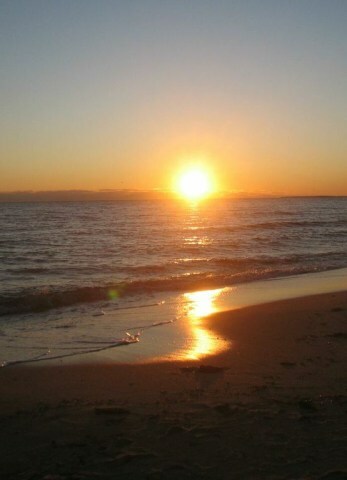 For the very best Cape Cod vacation ideas, please consider a stay at the Platinum Pebble Boutique Inn. Our specialty is helping you gain that local experience that not many tourists actually get to live. 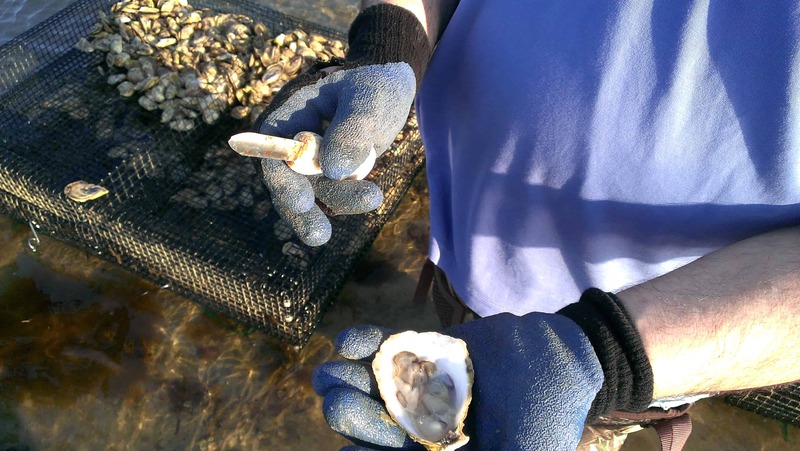 We have vacation ideas that include: Kayaking the inlets and rivers of the Cape, Stand Up Paddleboard the calmer waters that surround us, take a Sportfishing charter for Blues and Striper, Combine an Oyster Farm tour with an Oyster shucking demonstration and a wine pairing with a local restauranteur…the options are endless. We can’t wait to show you how the locals live and hear about your adventures in our lounge at the end of a great day. Sunset at the end of another magical day on Cape Cod. Very cool! Looking forward to getting up there and experience it sometime.